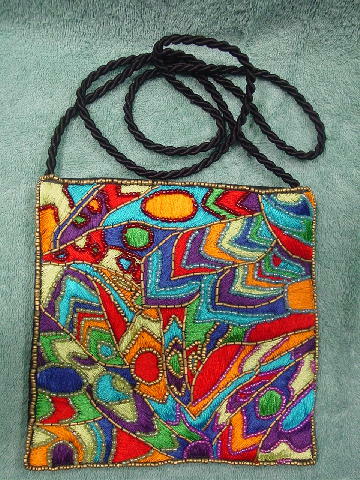 This square shaped evening purse was made in India. The front has small brass-tone beads edging its four sides. 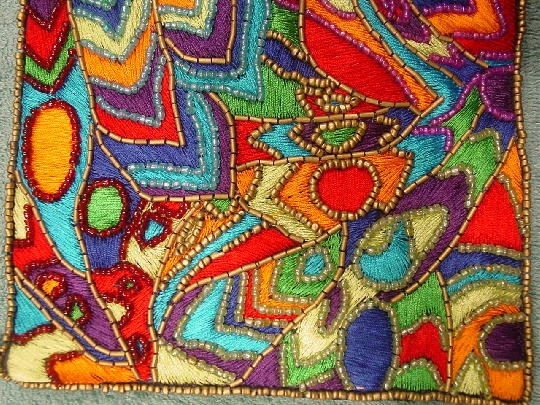 The front has different sections of thread separated by elongated brass-tone, purple, seafoam, red, and light blue beads. The thread is in red, blue, light lime green, purple, and orange. The back is in a black fabric. It feels like there is a little padding between the exterior and the interior black fabric lining. 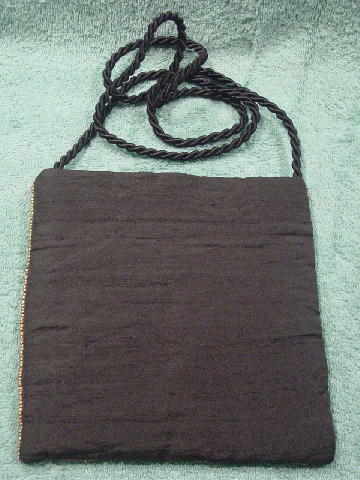 There is a black cord 46" long by 1/4" wide shoulder strap and the interior has a magnetic snap closure. It's from a New York model who wore it twice, to a club opening and a Broadway play opening.